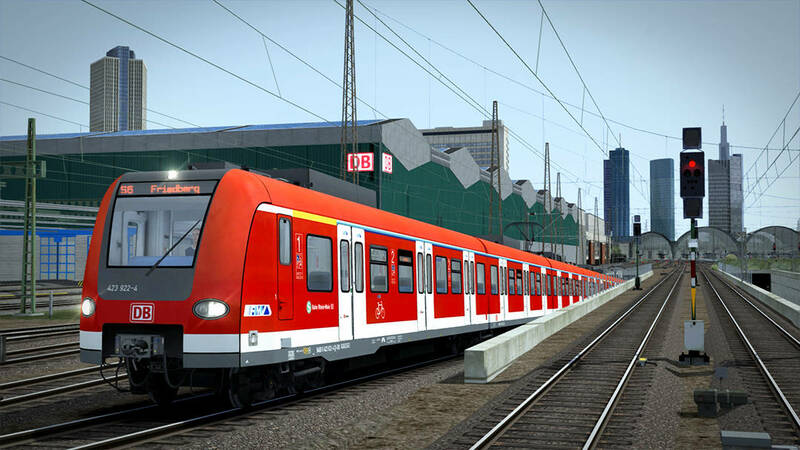 The fifth largest city in Germany, Frankfurt am Main, dates back to very 1st Century, and today, modern traction weaves beneath the populous in the form of the Rhine-Main S-Bahn, of which two lines are soon to be represented in Train Simulator. The commuter lines out of Frankfurt station brought in passengers from surrounding urban area, however by the mid-1960s, it was struggling to meet demands and did not provide passengers with the direct connection they needed with key locations within the city. Like many projects of its time, the plan to transform the local lines into a rapid transit network would revolutionise travel, not just in Frankfurt itself, but the entire Rhine-Main region. The main component of the upgrade was a devised “Citytunnel” which would take traffic underground before Frankfurt Hbf, and subsequently call at multiple intervals from beneath the city itself. The first section of the tunnel opened in 1978, with following extensions occurring until 1992, and all but one of the Rhine-Main S-Bahn lines operate through the tunnels at incredible frequency. The Rhine-Main S-Bahn has been masterfully incorporated into the wider Frankfurt transport network, with multiple stations providing good links to bus and tram routes, and in two of the Citytunnel stations, a connection with a majority of the Frankfurt U-Bahn system. 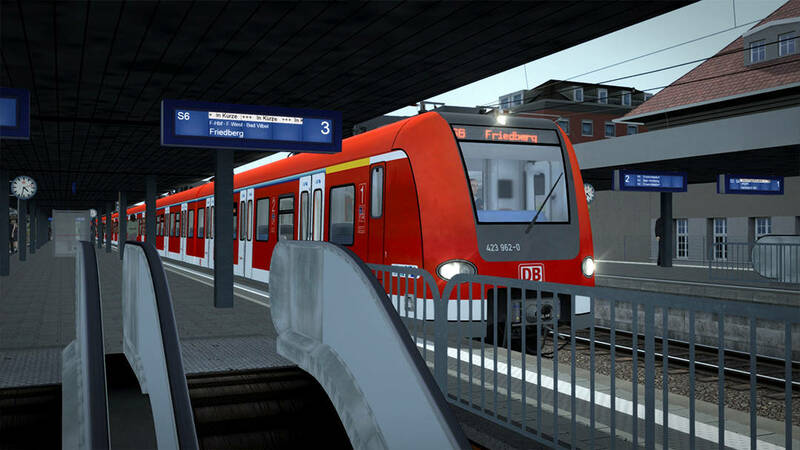 In Train Simulator, the S5 and S6 lines are represented in full, covering their shared-track section from Frankfurt Süd to Frankfurt West, including 6 underground stations, before each head for Friedrichsdorf and Friedberg respectively, covering some 60 km en route. Both S5 and S6 lines are today operated by the DB BR 423. 100 of these articulated EMUs serve Frankfurt - their lightweight and open design, good acceleration and top speed being suited for the demand of modern, rapid, commuter transportation. The DB BR 423 that comes with the Rhine-Main S-Bahn route is simply outstanding, and nothing quite beats scooting it along the Citytunnel and onward to destinations beyond. 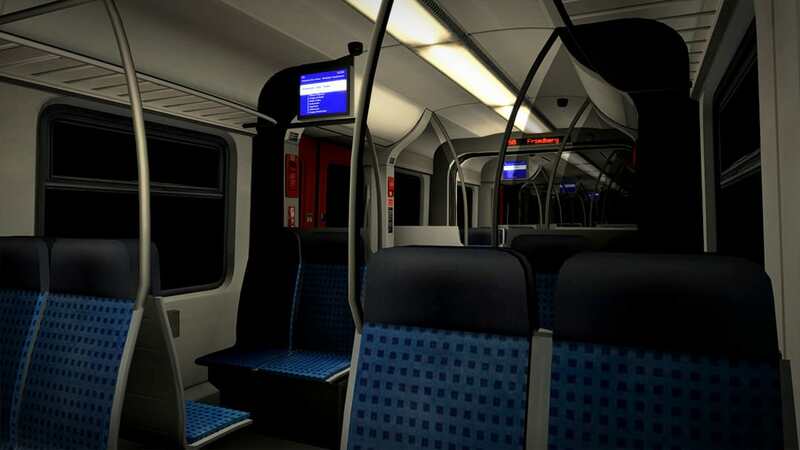 The S5 and S6 lines of the Rhine-Main S-Bahn, coming soon from Just Trains! 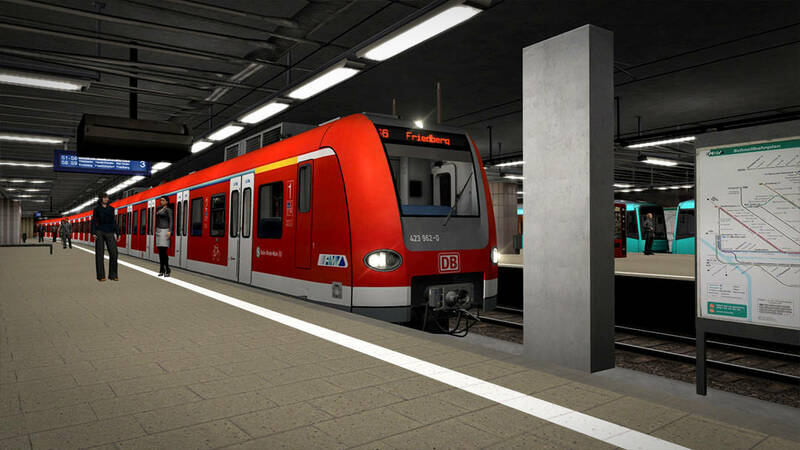 As the Rhine-Main S-Bahn nears its Steam and Dovetail Store debut, let’s take a quick trip through the Citytunnel, we start first however at Frankfurt Süd, at the start of an S6 service to Friedberg. 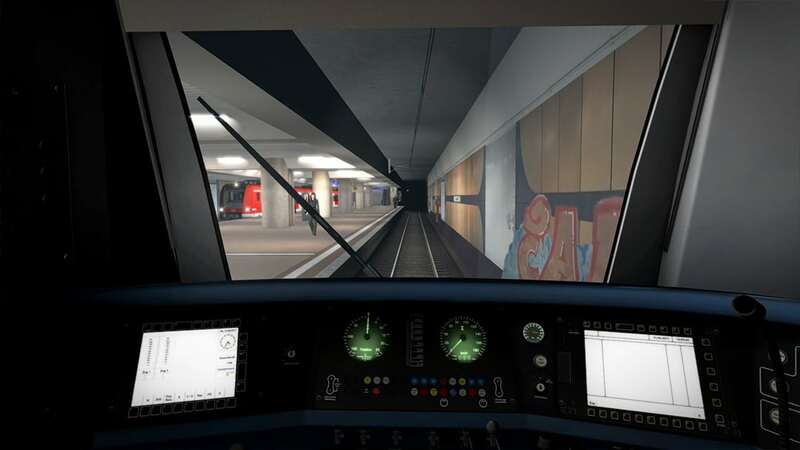 Making a scheduled passenger stop at F-Lokalbahnhof, we see the immersive atmosphere of the DB BR 423 authentically developed by Railworks Austria. The frequency of service can be noted by the sheer volume of traffic headed in the opposite direction. Accelerating out of F-Ostendstraße, we see that this is a pairing of DB BR 423 EMUs. Built as 4-car units, the DB BR 423 can easily be doubled or even tripled up to meet capacity demands, and the platforms are long enough to accommodate (above). We also get the passengers perspective as tunnel winds its way westward (below). 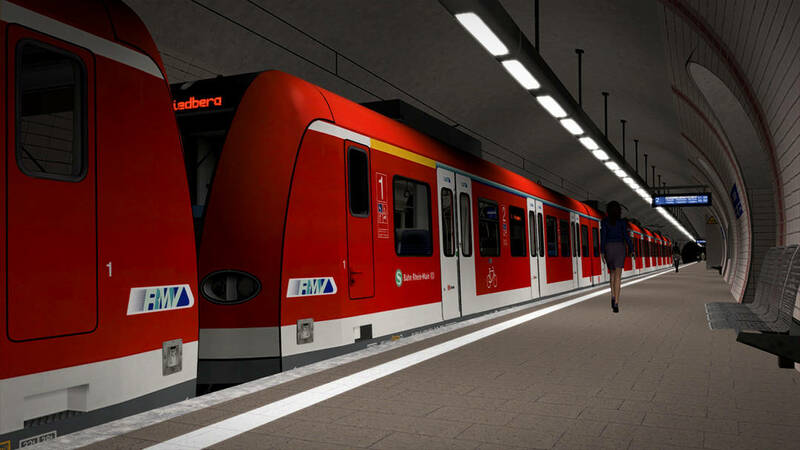 The next station, F-Konstablerwache, gives passengers a cross-platform interchange with the Frankfurt U-Bahn network, and you will frequently see (AI only) “Flexity Swift” U-Bahn traction calling at the outermost platforms. 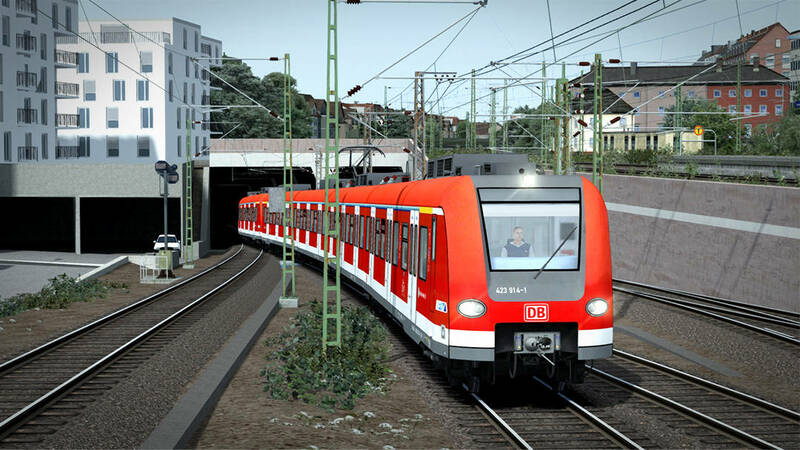 After some time, including making a stop at the underground platforms for Frankfurt Hbf, the Rhine-Main S-Bahn bursts out above ground, ready to continue onwards; as it will soon when this stunning route arrives for Train Simulator service! TS19: Time to Traverse Tirol! TS19: Head for Holy Island!